Home » Blog » News » CBD vs. THC: What’s the Difference? We have no doubt about the benefits that medical cannabis has on various illnesses and diseases. There is good evidence in robust human clinical trials that cannabis is of benefit for a variety of ailments whether they be physical, mental, or social. Cannabis Industrial Marketplace is your equipment & supply information hub, aiding you with knowledge about growing and cultivation equipment, dispensary supplies and everything in between. Equipping you with up to date news about upcoming elections, tips on marketing, and specific state laws. THC is the main psychoactive compound in marijuana that gives the highsensation. It can be consumed by smoking marijuana. It’s also available in oils, edibles, tinctures, capsules, and more. However, many states including Washington, D.C., have passed cannabis-related laws making medical marijuana with high levels of THC legal. The marijuana may need to be prescribed by a licensed physician. In addition, several states have made recreational use of marijuana and THC legal. It still remains illegal federally. The laws are changing; be familiar with the laws in your state. In states where marijuana is legal for recreational or medical purposes, you should be able to buy CBD legally. In some states, legislatures have passed laws that make CBD for medical purposes legal. CBD does not need to be made from marijuana and is legal when made from hemp. Before you try to buy either product, be aware of your state’s laws. If you possess cannabis-related products in a state where they’re illegal or don’t have a medical prescription in states where the products are legal for medical treatment, you could face legal penalties. CBD and THC have many of the same medical benefits+. They can provide relief from several of the same conditions. However, CBD doesn’t cause the euphoric effects that occur with THC. Some people may prefer to use CBD because of the lack of this side effect. 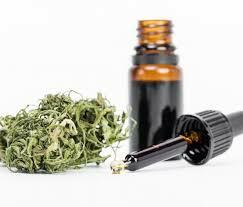 In June 2018, the Food and Drug Administration approved Epidiolex, the first prescription medication to contain CBD. It’s used to treat rare, difficult-to-control forms of epilepsy. Neither compound is fatal. However, high THC use may be connected to long-term negative psychiatric effects. This is especially true for adolescents who consume large amounts of THC; the effect on the brain is more profound for teens. Use of the compound increases the risk for some psychiatric disorders, such as schizophrenia. Not every drug test will be able to detect CBD, but CBD-sensitive tests are available. Most standard drug tests will look for chemicals related to THC, so THC or marijuana use might show up on a screening. CBD and THC are two of the most prominent cannabinoids found in the Cannabis plant. Both marijuana and hemp produce CBD and THC. However, marijuana has a higher concentration of THC. Hemp has a higher concentration of CBD. Because hemp contains more CBD than the relatively low levels of THC, it’s the ideal source for CBD oil. CBD and THC both have medical benefits. They’re also both considered safe. Despite that, they remain illegal federally and in many states in the United States. Before you purchase or use any of them, know the laws in your state. *Both CBD and THC are illegal federally. However, some states have laws that make them legal for medical or recreational purposes, or both. **CBD isn’t detected in hemp products but they may contain trace amounts of THC. They may show up in high enough concentrations to produce a positive drug test.